It’s fair to say that Englishmen don’t have the best reputation away from home. Overbearing, lobster pink dads with melanoma-level sunburn berating hospitality workers in slow, loud English as they try to order an egg and chip butty; wide-eyed 17-year-olds gurning their way into oblivion as they populate the emergency room of a hospital on a Greek island, waiting for their mate to have his stomach pumped; boozed up footie fans exhibiting their God-given talent for flinging plastic garden furniture at opposition supporters – they’ve all given us a bit of a PR problem. That last one in particular, along with other incidents involving our fans this summer at Euro 2016, suggests that, when it comes to football, we don’t travel well. Thankfully there are one or two who do, and hopefully they can sort out our image a bit. In those dark, seemingly interminable fortnights of the soul set aside for international breaks, where the joy of football is sapped from us by tedious friendlies and Mark Pougatch, the debate about England’s problems with youth development occasionally rears its head. One strand of that conversation is particularly intriguing: why don’t we send more players abroad? Several reasons are usually offered. Some point out that the Premier League is The Best League in the World™ so why would anyone want to go anywhere else? The less jingoistic pundits offer a cultural explanation; there is a general reticence and narrow-mindedness toward moving to another country among Brits, no doubt a consequence of a lack of focus on language learning in compulsory education over here. The real explanation might be a more pragmatic one. 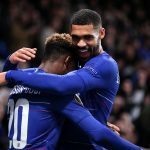 The exorbitant wealth of English football means that it’s financially inadvisable for players to move to other leagues – a point supported by the fact that Ruben Loftus-Cheek reportedly earns around £60,000 a week despite playing fewer than 20 Premier League games. However, things do appear to be slowly changing as there’s been a recent shift in the number of young English players plying their trade around the globe. 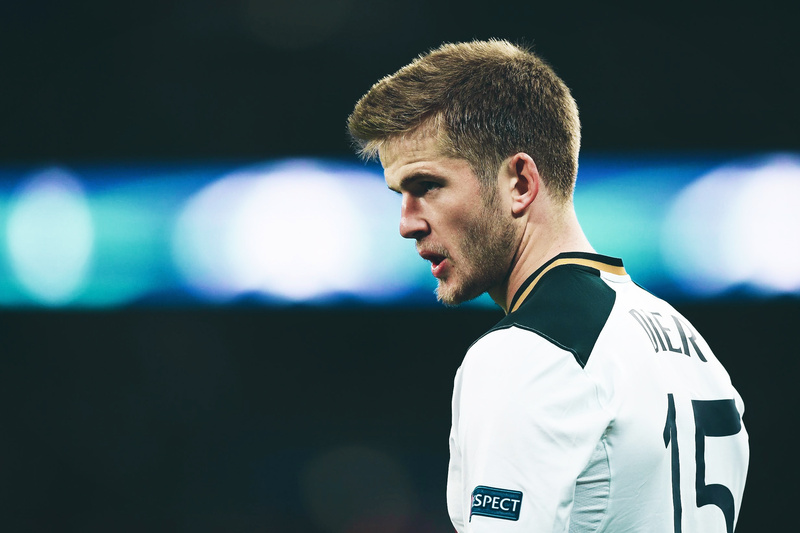 It’s a shift that began with Eric Dier. Let’s face it, Eric Dier was, with perhaps the exception of Adam Lallana, the only England player to come through this summer’s fiasco with his reputation unscathed. He’s probably the only England player in the squad who is unquestionably first choice in his position. There’s a case to be made that, in terms of fulfilling their function in the team, Dier is currently England’s best player. And he’s only been playing the position consistently for a little over a year now. Given his commanding presence and assured performances, it’s easy to forget that during his first season at White Hart Lane he was primarily used at right-back as cover for injury-plagued Kyle Walker before displacing Federico Fazio and Vlad Chiricheș to become first choice centre-back. His transition into a central midfielder the following season – a sort of reverse Marcel Desailly move – was seamless. Dier has the haircut and demeanour of private school bully and, on that basis, his holding midfield role seems a good fit – it demands that he spoils people’s fun and cut people down to size, although with clever positioning and ankle-shattering challenges rather than withering insults or misogynistic banter. His playing style resembles a perpetually tranquilised bear as he lumbers around the centre of the pitch, so languid that he seems as though he’s a bit dazed. That placid exterior stems from a solid foundation of tactical, positional and spatial awareness and it contributes to his composure in possession and his willingness to receive the ball calmly under pressure. He’s hardly a hammer who sees every problem as a nail either. Dier isn’t content shuttling square passes five yards at a time; he has a deceptively broad and expansive range of passing, often threading incisive balls to his forwards or dribbling the ball into the opposition half himself. As a nation we don’t really produce players like Dier – players who have the flexibility and intelligence, adaptability to thrive in multiple positions. The closest we’ve come in recent years is James Milner who is a universal plug adapter of a player at best – functional and competent but little beyond that. Eric Dier genuinely excels in three positions and if England had any other decent holding midfielders he would probably be a first choice centre-half too. 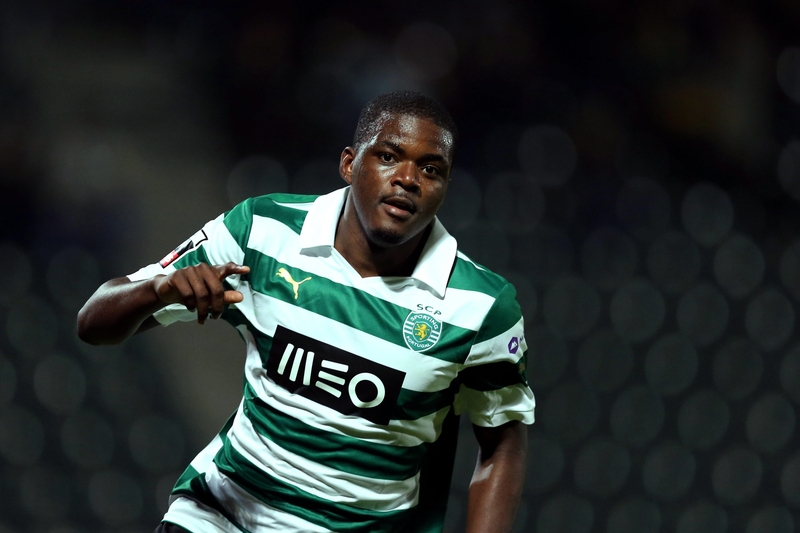 He accredits this to his time at Sporting CP where their youth coaching instilled him with the qualities that have allowed him to blossom on his return to English football. Dier spent 13 years in Portugal and in an interview with The Guardian, he explained his experience learning his trade in Lisbon: “A good player for them was someone who could understand when they made a mistake and correct it for themselves. When I first came to England to play I saw coaches having a go at players when they made mistakes and they would literally be talking them through the game. That single anecdote simultaneously illustrates how divergent coaching methods can be and draws attention to what makes Dier stand out – he not only knows what he’s doing in his role but has an appreciation of why he’s doing it. His ability to self-analyse and independently problem solve sits in stark contrast with England’s disastrous implosion against Iceland at Euro 2016, where Dier’s team-mates looked bereft and thoroughly incapable of acknowledging what was going wrong, meaning they were unable to adjust their performance when things went wildly off script. Dier’s exposure to foreign coaching has rewarded him with a maturity and diversity of skills that are absent in domestically coached players. Fortunately there are a few others who will benefit from the same experience as the Spurs midfielder. The player whose path most obviously echoes Dier’s is Taylor Moore. Moore’s family moved to France when he was seven and he received his footballing education with RC Lens, where he played a handful of first-team games for the Ligue 2 side over the last two seasons, before moving back to England with Bristol City this summer. The former Lens man, who carries the onerous burden of being an English centre-back named ‘Moore’ literally across his shoulders, has played international football for England at a range of age levels including captaining the under-19s and most recently picking up two caps for the under-20s. Like Dier, Moore made his club debut at right-back and made an instant impact by registering an assist, with a fairly inelegant ball lofted into the channel for Pablo Chavarria to scamper after and tuck away. He’s a poised and patient defender with a sense of anticipation that enables him to step forward and win tackles as well as dropping off to cover behind the defensive line. The future looks promising for Moore as he seeks to establish himself in England and, when it comes to navigating the weight of expectation that’s placed on young English footballers, he would do well to heed the advice of a man who arrived at Lens as the defender was preparing to leave. John Bostock famously made his debut for Crystal Palace as a 15-year-old, which naturally sent the media hype machine into overdrive. Tottenham soon snapped him up but, despite spending five years at the club, he never played a Premier League game and failed to make much of an impression in a smattering of cup games or in his five loan spells. He’s started life in France with six goals in 11 games but sadly the fruits of Bostock’s career renaissance won’t be received by England as he has dedicated his international future to Trinidad & Tobago. Another player who can vouch for the joys of life away from the intense glare of the English press is, of course, Joe Hart. Despite the flurry of attention surrounding the transfer and his debut, he has receded into the background a bit and is quietly flying if not entirely off the radar, then at least on its periphery. A costly error is his first game for Torino aside, Hart has since had two clean sheets and produced some confident performances in his ten games so far as he attempts to add some further strings to his bow in Turin. If nothing else, he seems to be enjoying himself. 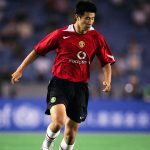 The pathway between the Premier League and Serie A was a well-trodden one for English players in the 1990s and in recent years there have been signs that it could once again become a popular route. Hart is joined in Italy by perennial problem child Ravel Morrison, who signed for Lazio in January 2015 and has subsequently made eight appearances for Biancocelesti. Only one of those has been a start, though – in a Europa League game against Rosenborg – and it seems as if things are on the cusp of going awry again for Morrison courtesy of his refusal to go out on loan and recent rumours that he flew back to London instead of training with the reserves. Last year also saw Nathaniel Chalobah spend a year with Napoli on loan. The 21-year-old only played nine games, with his two starts in Europa League games like Morrison, but Naples seems to have left an impression on the young midfielder. His time Italy clearly served him well as he’s slowly started to break his way into the first 11 at Chelsea since Antonio Conte arrived. As a young Chelsea player out on loan, Chalobah was hardly a rarity. This season Chelsea have 38 players on loan across 14 divisions in eight different countries. The list of players on temporary deals away from Stamford Bridge is a weird collection of players from all sorts of backgrounds, connected only by a wage funded by Roman Abramovich and banter on Whatsapp. It makes you wonder what the state of the conversation in their well-documented group chat was like. No doubt Chalobah would have been in close contact with his fellow England youth level colleagues Izzy Brown, Dom Solanke and Lewis Baker, all of whom spent last year with Vitesse Arnhem. Chelsea have a feeder club arrangement with Vitesse, lending them high-quality young players in exchange for playing time at a competitive standard and the Dutch club’s development expertise. It was a mutually successful venture last season as Vitesse finished comfortably mid-table and each of the Chelsea boys had a prosperous campaign. Solanke scored seven goals, making him the club’s third top scorer for the season, while Brown managed to score once despite predominantly starting on the bench. Baker was the standout player, though, scoring five goals and laying on four for his team-mates. He took that form into the summer as he finished top scorer at the Toulon Tournament, helping England to win the competition in the process. Baker sensibly stayed in the Netherlands for a second season, giving him more time to absorb the different footballing culture and giving him a chance to develop his game in familiar surroundings in a “more technical and tactical” league rather than going through more upheaval. It appears to be working; by the start of October, no player had created more chances in the Eredivisie than Baker and he has surpassed his goal tally from last season already while also enhancing his reputation as a set-piece specialist. Players like Moore and Dier are perhaps special cases – they ended up at foreign academies after their families moved abroad and, having spent their adolescence in another country, they’re essentially dual nationality citizens. Meanwhile, the Chelsea boys are adding the finishing touches to their game by going abroad on a temporary basis. There is another strand that has started to emerge recently, as English players are transferring from academies at home to go and play youth football in Europe. This is the case for Daniele Collinge and Mandela Egbo, who swapped MK Dons and Crystal Palace for VfB Stuttgart and Borussia Mönchengladbach respectively. Collinge is a central defender who is confident and composed in possession (a bit of a recurring theme – there’s clearly something about our centre-halves that makes them well-suited for playing away from England) whereas Egbo is an intelligent and technically adept right-back, capable of performing the attacking and defensive functions required of the modern full-back, and they have both represented England at under-18 and under-19 level. Neither have them have managed to make their Bundesliga debut yet but they’re at clubs with a good record of providing a pathway for youth players into senior football. At just 18 and 19, it’s well worth keeping an eye on the pair of them. Further afield there is Jack Harrison of New York City FC. Traditionally, when it comes to MLS, there are two strands of Englishmen: big name players in the twilight of their career looking for a pay day (Frank Lampard, Steven Gerrard, Ashley Cole) and journeymen bored of flitting between lower league clubs and looking for something more stable (Jordan Stewart, Tyrone Mears, Bradley Wright-Phillips). Harrison represents a different way entirely. He’d been on the books at Manchester United in his early life but, given the high proportion of academy players who fail to make the grade as a professional, his mother encouraged him to pursue his education to mitigate the damage if football hadn’t worked out for him. Harrison left for the States at 14 and attended a private school in Massachusetts aided by a soccer scholarship before accepting a place at a university in North Carolina. After his first year, he was selected as number one pick in the MLS Draft by Chicago Fire, who then traded him to NYCFC. 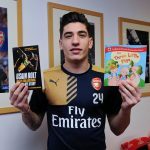 The 19-year-old made his first appearance for the club under Patrick Vieira and quickly established himself as a significant member of the squad alongside some of his more illustrious team-mates. The FA would do well to get him involved with England soon, as he’s already suggested that he’d be open to the possibility of playing for the US if they came knocking. Harrison’s performances have been so impressive that he was nominated for the MLS Rookie of the Year Award as well as receiving a nomination for Goal of the Season – ensnaring the Montreal left-back with some fleet-footed sorcery before getting his protractor out and curving a left-footed shot into the bottom corner. It’s a pretty convincing Arjen Robben impression. As the popularity of MLS grows and the standard continues to improve, it presents a unique opportunity for young English players. It offers them the chance to impress themselves on a growing league and lets them experience a different footballing environment, without the culture shock of a language barrier. Jack Harrison wasn’t even the first English player to make an appearance for NYCFC as Shay Facey, a full-back from Manchester City, spent last season there on loan. Given the partnership of the two clubs as part of the City Football Group, it’s likely there will be more that follow in Facey’s footsteps in future seasons and it could well be a theme that occurs throughout the league as a whole. Elsewhere, Andre Wisdom has put a pair of lacklustre loan spells at West Bromwich Albion and Norwich City behind him and is trying his hand with the universally loathed caffeinated overlords of the Red Bull empire in Salzburg. The composition of the Premier League makes it unsurprisingly that players are looking for opportunities in other countries. In the 2014-15 season, footballers aged 21 or under played just 5.3 percent of total minutes, lower than Europe’s other top leagues (Serie A – 5.5; Bundesliga – 7.8; La Liga – 8.0; Ligue 1 – 12.1). Chances for English players are likewise limited, with the number of players starting Premier League matches who would be eligible to play for England has hovered around the 30 percent mark over the last few years. The explanation for this is relatively simple as the inordinate wealth of the Premier League has exacerbated a need for instant gratification and has caused short-termism to run rampant, meaning that fewer and fewer managers are going to be willing to take the risk that comes with throwing inexperienced young players in at the deep end. Not when the downside for anything less than a faultless transition to first team football can mean the manager’s job is at stake. More recent figures are hard to come by, but a report from 2013 showed how far coaching in England is lagging behind: there were 1,190 registered coaches in England with the UEFA A qualification, fewer than in France (3,030), Germany (5,633), Italy (1,556) and Spain (13,070). Quantity isn’t quality, but it’s worth mentioning that the two nations with the greatest number of qualified coaches on that list have won the last two World Cups and two of the last three European Championships between them with squads almost entirely populated by players produced by their academies. Spain and Germany have also collectively won three of the last four under-21 European Championships and four of the last six under-19 European Championships. They’re obviously doing something right. This chimes with what our boys are saying. If you read the accounts of the players listed above, virtually all of them mention a greater emphasis on, or an improvement in the quality of, the technical and tactical training they receive abroad. That this is true for players playing across a variety of different leagues, regardless of they were being coached at home, indicates that something is evidently rotten in the state of English youth development. Our problems can be summarised in an anecdote from Gary Neville. During his time at Valencia, he said that any misplaced pass in training was derisively labelled as Pase Ingles – an English pass. There is clearly a deficiency in the standard of our coaching, and there is no quick fix. It is going to take a considerable amount of time and investment to bring things to the point where we are consistently producing players that can make us compete in the upper echelons of international football. In the meantime, we should make the most of our continental partners’ expertise when it comes to developing players. Most of the talk from the FA on this subject tends to include a mention of the embarrassingly self-important and horribly misguided corporate babble of creating an “English DNA”. In theory, this is supposed to be a set of specific footballing principles to be implemented across every age group to create continuity for young players as they progress through the ranks. In reality, it’s compromised of statements so vague as to be meaningless and it represents a malformed patchwork of ideas liberally borrowed from more successful footballing sides; it’s a sort of Franken-playing style. The stylistic approach of other nations is not what England should be borrowing. Besides, aping the blueprint of another team is pointless unless you have good enough coaches to teach players how to implement it properly– you’re inevitably going to end up with an ersatz version. What we need to steal is their coaching methods. Obviously overhauling the entire ideological and practical approach of the current system isn’t going to happen overnight so, instead of stunting the growth of our best young players with our current approach, we should be export our best and our brightest to reap the rewards of superior developmental techniques until we catch up. There’s a risk that these tentative steps from our players to be less insular could be quickly curtailed, though. It is still unclear what the ramifications the decision to leave the European Union as a result of this summer’s referendum will have on the free movement of people between the UK and the EU. This presents the potential obstacle of the work permit system which, under the current rules, makes it exceptionally difficult to obtain one for young players, serving as a disincentive to those who would be inclined to move away. And while leaving the EU will hinder Englishmen who want to transfer abroad, it will naturally have an effect on players transferring to the Premier League. Of the 161 players from EU or European Economic Area nations registered at Premier League clubs last season, only 50 would have met the criteria for an automatic work permit, while 42 players from non-EU/EEA countries in both the Premier League and the Football League wouldn’t have received a work permit either. These rules won’t be applied retroactively, but it indicates that clubs are going to have to radically alter their transfer policy in the future. This, in turn, will deter players from seeking opportunities abroad as they’re more likely to play in England due to the limits placed on clubs’ recruitment. The exact details of our exit from the EU are yet to be confirmed but this scenario unfortunately seems a likely one. There’s a good case to be made for sending more players abroad: freedom from the crushing weight of media and public expectation, experience of a different footballing culture giving players a greater set of internal resources to draw on during games – different mindsets about their own development, different ways of thinking about the game, different strategies for dealing with situations in-match – as well as access to a superior quality of coaching and facilities. As our youngsters continue to impress in other countries, they could go some way to repairing our tarnished reputation. Perhaps, in time, they can turn Pase Inglese into a term of admiration rather than scorn.